The development, testing, and preliminary feasibility of an adaptable pediatric oncology nutrition algorithm for low-middle income countries. Fleming C, Viani K, Murphy AJ, Mosby TT, Arora B, Schoeman J, Ladas EJ. Indian J Cancer. 2015 Apr-Jun;52(2):225-8. doi: 10.4103/0019-509X.175834. Nutritional status in survivors of childhood cancer: Experience from Tata Memorial Hospital, Mumbai. Prasad M, Arora B, Chinnaswamy G, Vora T, Narula G, Banavali S, Kurkure P.
Indian J Cancer. 2015 Apr-Jun;52(2):219-23. doi: 10.4103/0019-509X.175814. Nutritional status at presentation, comparison of assessment tools, and importance of arm anthropometry in children with cancer in India. Shah P, Jhaveri U, Idhate TB, Dhingra S, Arolkar P, Arora B.
Indian J Cancer. 2015 Apr-Jun;52(2):210-5. doi: 10.4103/0019-509X.175838. Nutritional profile of pediatric cancer patients at Cancer Institute, Chennai. Radhakrishnan V, Ganesan P, Rajendranath R, Ganesan TS, Sagar TG. Indian J Cancer. 2015 Apr-Jun;52(2):207-9. doi: 10.4103/0019-509X.175841. The impact of weight for age on survival in acute lymphoblastic leukemia: Report from a tertiary care center in North India. Trehan A, Prabhu V, Bansal D.
Indian J Cancer. 2015 Apr-Jun;52(2):203-6. doi: 10.4103/0019-509X.175835. A survey of nutritional practices for children with cancer in India. Sharma A, Negi EF, Arora B, Pradhan D, Khurana M, Bagai P, Arora RS. Indian J Cancer. 2015 Apr-Jun;52(2):191-3. doi: 10.4103/0019-509X.175831. Nutritional assessment and intervention in a pediatric oncology unit. Indian J Cancer. 2015 Apr-Jun;52(2):186-90. doi: 10.4103/0019-509X.175832. 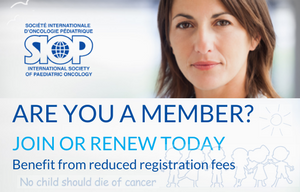 Parenteral and enteral nutrition for pediatric oncology in low- and middle-income countries. Indian J Cancer. 2015 Apr-Jun;52(2):182-4. doi: 10.4103/0019-509X.175837. Importance of nutrition in pediatric oncology. Indian J Cancer. 2015 Apr-Jun;52(2):176-8. doi: 10.4103/0019-509X.175830. Nutritional status in children with cancer: Before, during and after therapy. Indian J Cancer. 2015 Apr-Jun;52(2):173-5. doi: 10.4103/0019-509X.175827. International nutrition capacity building – A global SIOP-PODC model from India. Indian J Cancer. 2015 Apr-Jun;52(2):163-6. doi: 10.4103/0019-509X.175836. No abstract available. Indicators of malnutrition in children with cancer: A study of 690 patients from a tertiary care cancer center. Srivastava R, Pushpam D, Dhawan D, Bakhshi S.
Indian J Cancer. 2015 Apr-Jun;52(2):199-201. doi: 10.4103/0019-509X.175825. Adiponectin correlates with obesity: A study of 159 childhood acute leukemia survivors from India. Srivastava R, Batra A, Tyagi A, Dhawan D, Ramakrishnan L, Bakhshi S.
Indian J Cancer. 2015 Apr-Jun;52(2):195-7. doi: 10.4103/0019-509X.175824. Approach to metabolic syndrome in childhood cancer survivors. Scott JX, Latha MS, Aruna R.
Indian J Cancer. 2015 Apr-Jun;52(2):169-72. doi: 10.4103/0019-509X.175840. 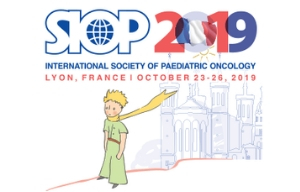 A Framework for Adapted Nutritional Therapy for Children With Cancer in Low- and Middle-Income Countries: A Report From the SIOP PODC Nutrition Working Group. Ladas EJ, Arora B, Howard SC, Rogers PC, Mosby TT, Barr RD.